The sea lion pups were frisky. I watched them dart back and forth through my snorkel mask, twisting and turning and twirling and spinning like underwater ballerinas. They swam between us, swam around us, came within inches of our faces before barking out air bubbles (a terrific practical joke if you’re a sea lion). For the next 45 minutes the sea lions put on a clinic in playfulness. Eleven of us were snorkeling, and the pups made a special point to visit us one by one. They swirled and twirled and blew bubbles in our faces. Eventually it became clear. They weren’t just showing off; they were inviting us to play. 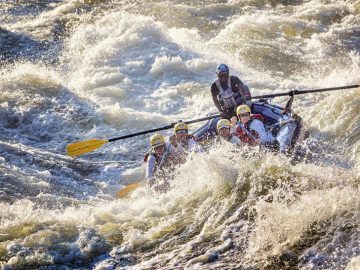 Bruce Lavoie, a raft guide from Utah, picked up on the cue. 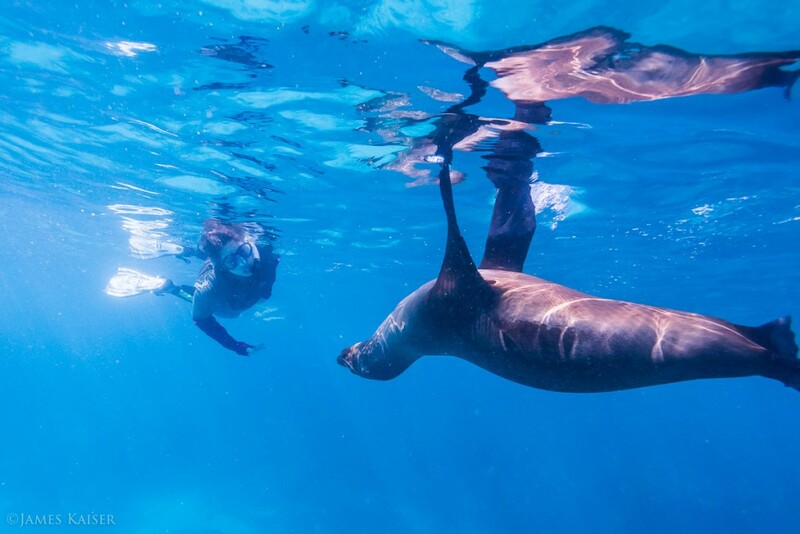 The sea lions watched as he somersaulted, then mirrored his movements. He dove, they dove. He surfaced, they surfaced. When his wife Nicole swam past like a mermaid, you could practically hear the sea lion pups giggle with delight. Eventually we decided to leave. Actually, Fernando told us to leave because none of us were about to come to that conclusion on our own. We were like lab rats desperately pressing the button for one more hit of sea lion, careening towards hypothermia until Fernando intervened. Back on the zodiac, snorkel masks came off to reveal beaming faces. Endorphins were surging. Words failed us all. I looked at the surface of the water, sparkling in the tropical sun, then back at Bruce and Nicole. All I could do was laugh. 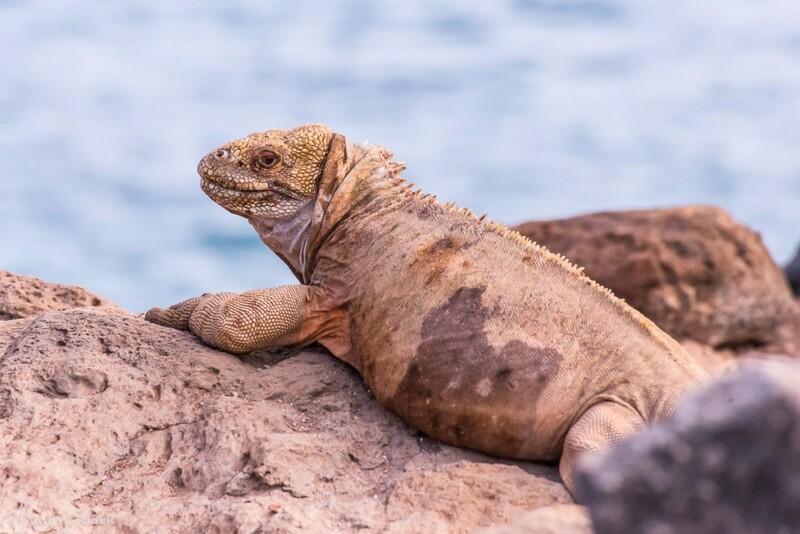 Situated along the equator, 600 miles off the coast of Ecuador, the Galápagos cast a powerful spell on everyone who visits. Most famously, Charles Darwin. Less famously, my sister-in-law. The Spaniards were, however, delighted by the strange tameness of the animals—particularly the giant tortoises. In the days before supermarkets and refrigeration, slow-moving 900-pound creatures that could survive months without food or water were destined for trouble. The slaughter soon commenced. Over the next several centuries, passing ships from Spain, England and the U.S. gathered and ate roughly 200,000 Galápagos tortoises. By the early 1900s, five of fifteen tortoise species were extinct in the Galápagos. By that point, however, attitudes towards wildlife had started to change. 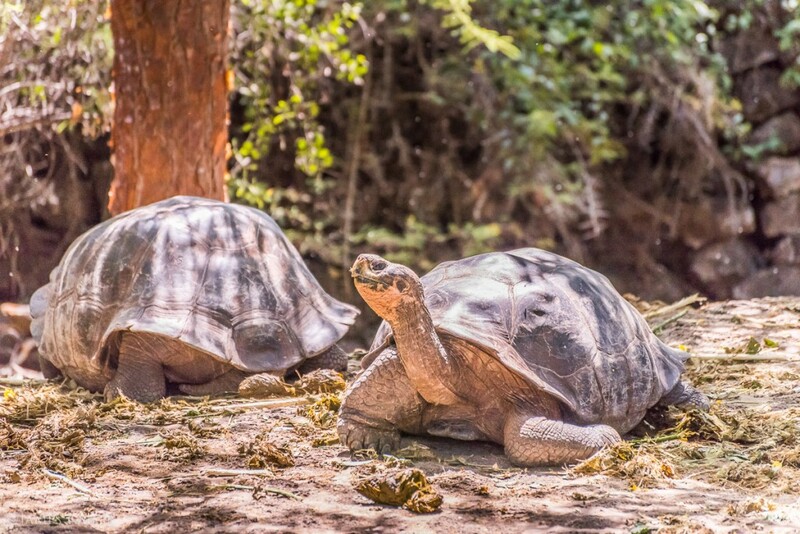 In 1936 Ecuador declared tortoises a protected species. From a low of roughly 3,000 individuals, tortoise numbers slowly started to climb. Today there are roughly 20,000 tortoises, and people fly halfway around the world simply to admire these gentle giants. 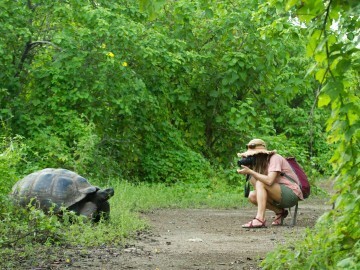 Our own encounter with tortoises occurred high in the hills of Santa Cruz Island. In a grassy field dotted with trees, half a dozen specimens lumbered past our group, showing little concern with our presence. It was remarkable to see these living dinosaurs up close. It was disturbing to consider how close they had come to extinction. Down the road, in the bustling port town of Puerto Ayora, the “extreme tameness” of wildlife was on further display at the open-air fish market, which doubles as an inadvertent menagerie. A large sea lion lounged on the floor next to men slicing fish, who, in turn, were watched by a dozen or so pelicans on the other side of the counter. Marine iguanas sunned themselves on the rocks below. The harbor beyond was filled with seabirds. 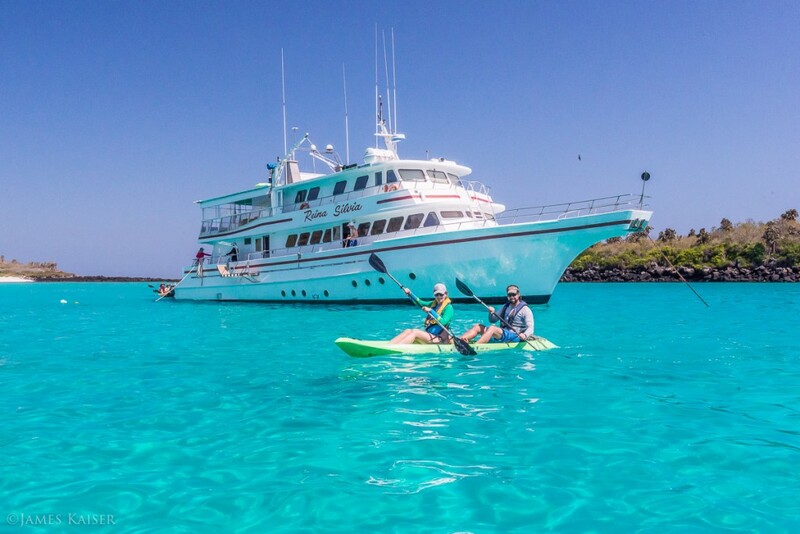 In Puerto Ayora we boarded the Reina Silivia, a 90-foot yacht loaded with kayaks, snorkel gear and a skilled Ecuadorian bartender named Elvis. 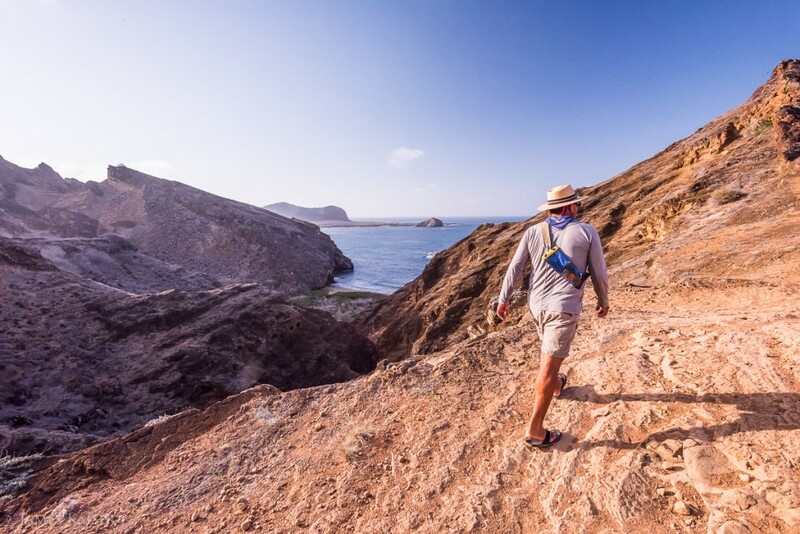 For the next week we hiked, kayaked and snorkeled through the archipelago’s uninhabited eastern islands. The wildlife was staggering. What really caught my attention, however, was the way the animals interacted with one another. Sea lions napped next to Nazca boobies. Red-footed boobies perched near magnificent frigates. Languid marine iguanas appeared to get along with just about everyone. At times it felt like stepping into a Disney movie, one where multiple species hang out in unusual ways that would never happen in real life. Except here in the Galápagos, they really do. 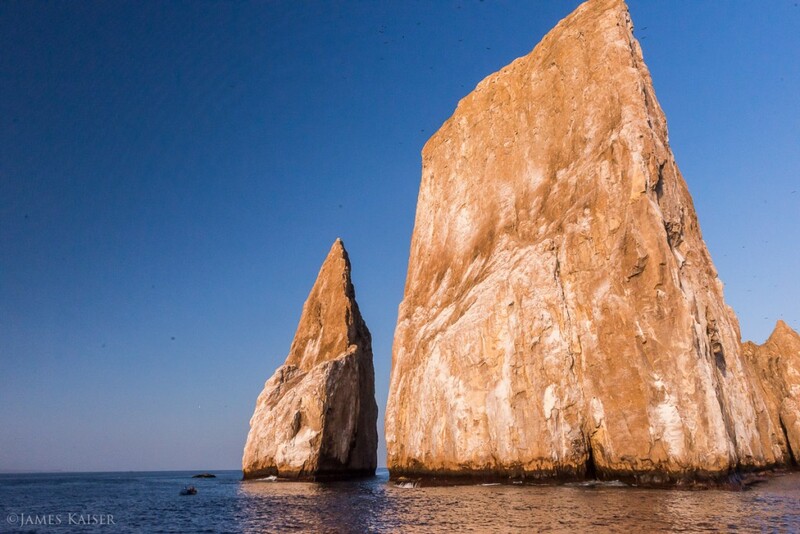 Before my trip, I thumbed through an obscure guidebook that claimed the Galápagos had been ruined by tourism. 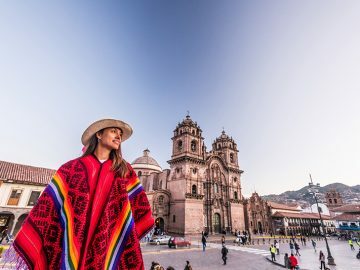 As a guidebook writer myself, I’m suspicious of all “You-should-have-been-here-twenty-years-ago” claims—a common ailment among well-traveled individuals and human beings generally. So I pulled aside our guide, Fernando, whose Galápagos resume is long enough to make Darwin blush: ten years as a scuba guide, a long stint with the National Park Service, Galápagos Program Project Coordinator for Conservation International, founder of the Galápagos Challenge Triathlon. The night before we left Puerto Ayora, Fernando excused himself to meet with a BBC film crew that had requested his presence. By any measure, he was an expert. Thirty years ago, he explained, many islands were overrun with goats, pigs and rats. These non-native species, introduced by early settlers, pushed out native species and wreaked havoc on the local ecology. Since then, several high profile initiatives have repaired much of the damage. Invasive species have been removed and native species have been reintroduced. 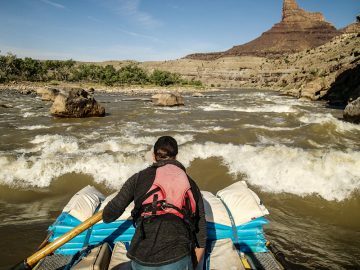 These efforts are heroic—and expensive—and much of the funding and support, in one way or another, comes from tourism. The seeds of the tourist boom were planted in 1835, when a 27-year-old naturalist named Charles Darwin arrived on the HMS Beagle. 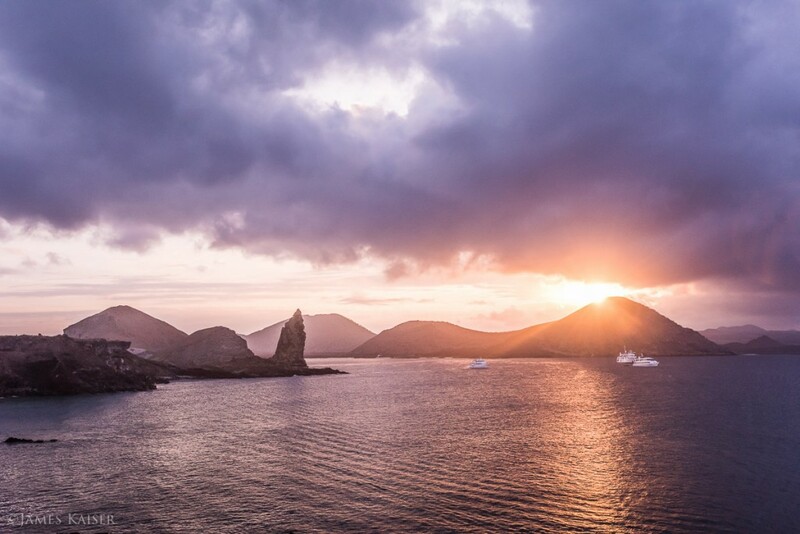 Although Darwin spent just four weeks exploring the Galápagos, his visit sparked an intellectual revolution. His subtle observations of wildlife and geology forced humanity to fundamentally reconsider its role in the natural world. In 1959, exactly 100 years after the publication of On The Origin of Species, 97 percent of the Galápagos was declared a national park. Since then millions of people have visited the islands. They come to follow in Darwin’s footsteps, to experience the landscapes and wildlife that inspired one of history’s greatest thinkers. Most, even the “Non-Nature People,” leave with a profoundly expanded view of the natural world. In this day and age, I can think of a million worse ways to spend one’s time. I hope they get to go. These remote islands, overlooked and misunderstood for so long, are home to ideas and experiences worth sharing.